Hospitals in highlighted regions have contributed data to the Global Open Source Severity of Illness Score, or GOSSIS. Image courtesy of the researchers. A man with a history of cardiac arrhythmia is admitted to an emergency room in Virginia, with symptoms of chest pain and irregular heartbeat. Based on factors such as age, respiratory rate, blood pressure, and platelet count, doctors are able to determine the likelihood of his surviving under intensive care. They do this with the help of an ICU severity-of-illness score, the most common of which is the APACHE system. APACHE (Acute Physiology and Chronic Health Evaluation) was originally designed in the early 1980s as a tool for predicting, then presenting critical-care mortality risk in a simplified format. With vital signs and serum levels checked, the man is estimated to have a 7% risk, suggesting a relatively low probability of dying during his ICU stay. The hospital will use this score to later assess its own performance, and compare similar patients’ outcomes with those of other hospitals. With GOSSIS, Raffa, along with co-researchers Alistair Johnson, Tom Pollard, David Pilcher, and Omar Badawi, advised by Principal Research Scientist Leo Anthony Celi and part of the Laboratory for Computational Physiology, led by Professor Roger Mark at IMES, is looking to collect and incorporate hospital data from a range of countries, thus creating a truly universal ICU severity-of-illness score to be used in a variety of settings. The group, who along with participating hospitals are collectively titled the GOSSIS Consortium, aims also to provide a better calibrated system than older models. Initial funding for GOSSIS was provided by Philips Healthcare and the National Institutes of Health. Dr. Jesse Raffa accepts Silver Medal Award at the 49th Critical Care Congress in San Diego, CA. Nearly 45 U.S. hospitals currently contribute data to APACHE IV, a recent iteration of APACHE. 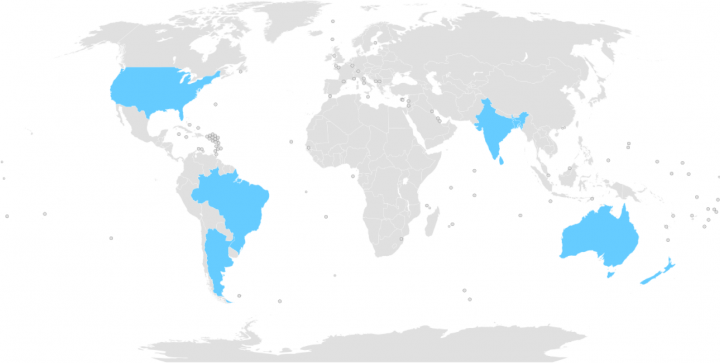 In contrast, as of early 2019, GOSSIS-ready datasets exist for critical-care units in Argentina, Australia, New Zealand, Bangladesh, India, Nepal, Sri Lanka, Brazil, and 205 American hospitals. Combined with the international consortium members, the GOSSIS system will provide data from a total of over 1000 medical facilities. An additional proposed benefit of GOSSIS: its cost-effectiveness. Unlike pricey APACHE scores, often challenging to obtain for hospitals with fewer resources and which cannot be considered fully analogous to reports from other countries, GOSSIS can be accessed, as well as added to, free of charge — a potential boon for the system, as with increased and more active participation, the algorithm itself has the unique opportunity to be regularly updated, and improved. “GOSSIS is an important initiative for numerous reasons,” says Celi. “Foremost is its open-source nature, which allows for continuous evaluation and recalibration of the algorithm. This is difficult with proprietary scoring systems and would typically be accompanied by the vendors charging more for these services. 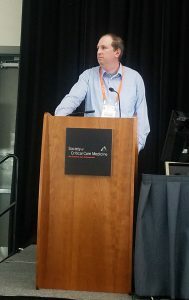 Although GOSSIS will be available to any hospital seeking access, the researchers encourage as many intensive care units as possible, worldwide, to upload their data. “By contributing their own critical care data, hospitals ensure they are well represented in the algorithm. Often hospitals are collecting all or part of these data elements anyway, particularly if they are using some other scoring system,” Raffa says. In its initial stages of adoption, GOSSIS is already gaining wide attention from the medical community. On February 19, Raffa and his colleagues were accorded the Silver Medal Award for their work by the Society of Critical Care Medicine in San Diego. Reflecting on the award, Raffa said he was honored, especially as a data scientist, to be acknowledged by an organization of medical professionals. For more information and to become a part of the GOSSIS consortium, visit gossis.mit.edu.